The David Jaffee Fellowship in Visual and Material Culture at the American Antiquarian Society is named for David Philip Jaffee (1954-2017) who was a wonderful friend and favorite reader at the American Antiquarian Society. 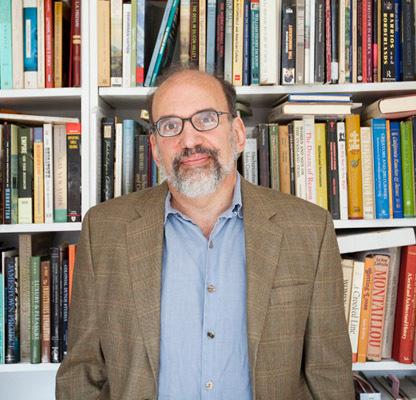 Elected to membership in October 2007, Professor Jaffee was instrumental in the development of the Center for Historic American Visual Culture (CHAViC) at AAS, encouraging engagement with images, artifacts, books and photographs of all kinds in the study of American history. A longtime teacher at City College of New York and the Bard Graduate Center, he is remembered as a devoted teacher, generous colleague, and committed mentor who shared his passion for his work in the classroom as well as through special workshops, seminars and exhibitions. The fellowship will provide a stipend for the study and use of visual and material culture in the pursuit of research on all aspects of American history before 1900. Funding is derived from an endowment established by the family and friends of the late Professor Jaffee and will be used to support a scholar in residence at the American Antiquarian Society, in Worcester, Massachusetts.